Behold! God does a new thing! 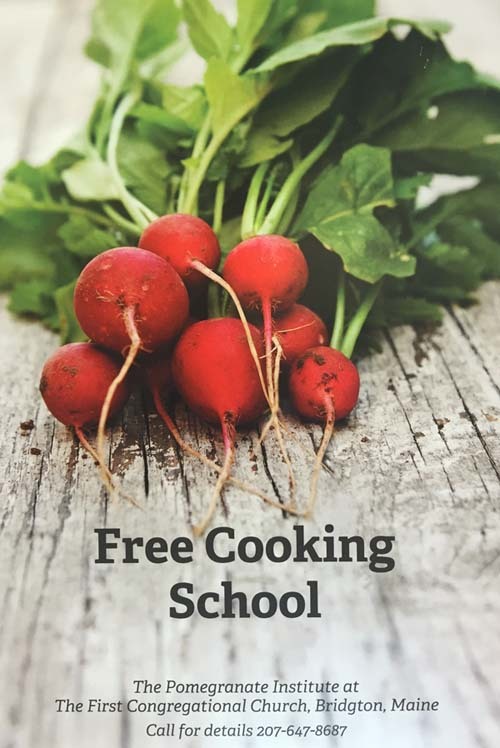 The Pomegranate Institute is a weekly cooking school that offers a box of healthy food and a fun and friendly lesson on how to turn the ingredients into a healthy meal. It is for anyone who could use a little help putting meals on the table. It is currently meeting at 10:00 on Tuesdays and a call to the church office will add you to the class.